The life of David Cornelius Canegata is intrinsically linked to the political develop ment of his homeland, the United States Virgin Islands. Born in St. Croix during Danish rule of the three islands, he lived through several constitutional reforms and as an active citizen even participated in shaping the local government as it progressed from the status of a colony to an unincorporated territory. He served with distinction in all three branches of government, contributing significantly to the development of each. Recognized as a scholar and a statesman, he had a list of reputable achievements to his credit. Among these are twenty-three years as a member of both the Colonial Council of St. Croix and the Municipal Council of St. Croix (1915-1938), and member of the Legislative Assembly serving on almost all important legislative committees. He was also the first native of St. Croix to serve as chairman of the Colonial Council and as chairman of the First Municipal Council under the 1936 Organic Act. He also served as Police Judge (March, 1930 - June, 1931), Police Judge for Frederiksted (July, 1936 - June, 1942), Police Judge and Coroner for St. Croix (1942 -1952), Municipal Physician (1931-1935), Administrator for St. Croix (1952 -1954), and Administrative Assistant to the Governor under the Revised Organic Act for the Virgin Islands (1954). He was also the first native to practice medicine on St. Croix (1915). During these years, he served in all three branches of government with dignity, sincerity, and distinction. He was born on St. Croix, Danish West Indies, on October 20, 1887, a son of James and Jane Gerard Canegata. He obtained his medical training from McGill University, Montreal, Canada where he earned his bachelor's, master's and doctorate degrees. In 1911, he returned home to private practice but soon public service and to attend to crucial needs of his people. He was named Municipal Physician in 1931 and served until 1935. During these years he worked tirelessly to eradicate many community diseases. Elected in 1915 to the Colonial Council for the town of Christiansted, he served twenty-three years as a legislator. In eleven of these years he was chosen chairman of this body and led the group through structural changes mandated by constitutional reforms. He served on several delegations to Denmark and the United States seeking assistance for the islands. A leading advocate of self-rule, he vigorously joined other leaders in this struggle, often speaking out at home and abroad in favor of such issues as a revised system of government to include changes in the Colonial Councils, appointment of qualified natives to prominent positions, adult suffrage for literate U.S. citizens, and a bill of rights for the territory. The choice of four U.S. presidents to fill federal positions in the Virgin Islands, Almeric Leander Christian was the first and the only (to date) Virgin Islander named Judge of the District Court. First appointed to that position by President Richard M. Nixon in 1969, he was reappointed in 1978 by President Jimmy Carter. Shortly after taking the oath in 1969, he was named Chief Judge in June of 1970. After sixteen years on the bench he agreed to serve as Senior Sitting Judge for several months. He retired from the bench in October 1988. 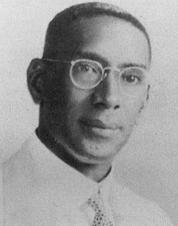 The son of Adam Christian and his wife, Elena Leonie Davis, Almeric was born in St. Croix on November 23, 1919. A sound education was a high priority in his home, and it was supervised by his mother who was later acknowledged as one of the territory's leading educators. He graduated salutatorian of Christiansted High School in 1937, and spent one year at the University of Puerto Rico in Rio Piedras, P.R., 1937-38. He then entered Columbia University in New York and in 1942 received a bachelor's degree with majors in govern ment and economics. However, his plans to continue further studies were interrupted when, at the outbreak of World War II, he was drafted and inducted in the U.S. Army at Fort Jay, New York. He served in the Coast Artillery Corps anti-aircraft artillery Normandy campaign and the Pacific Theatre Operation in 1946 and was honorably discharged with the rank of first lieutenant. With his military obligations completed, Almeric Christian re-entered Columbia Law School from which he earned a juris doctorate degree. He established his own law firm and practiced until 1962 when he was tapped by U.S. President John F. Kennedy to accept the position of U.S. District Attorney. He served for four years and was reappointed by President Lyndon B. Johnson. Several groups have recognized his outstanding achievements and contributions to his community. In December of 1987, on their 25th anniversary, the Theta Epsilon Lambda Chapter of Alpha Phi Alpha Fraternity Inc. honored Judge Christian as one of its outstanding members. Many prominent citizens paid tribute to the Judge at the testimonial dinner. Presiding Judge of the Territorial Court, Verne A. Hodge, said of Judge Christian: "He has the vision to see the heart and substance of legal problems as well as the impact of his decision making and he has the integrity to resolve those problems without regard to popularity or the press. He is well aware that to properly serve as judge is to do justice for all and not for a privileged few. . ."
For many decades the field of medicine seemed to have been a male domain which few females of the Virgin Islands chose to enter. However, Cora Le Ethel Christian represents a new trend and she now holds a doctorate in medicine, which she earned in 1971 from Jefferson Medical College.A 1963 graduate of Sts. Peter and Paul Catholic High School on St. Thomas, she earned the top spot in her class, graduating as valedictorian. She immediately matriculated at Marquette University, Milwaukee, Wisconsin and in four years earned a bachelor's degree (1967). Her graduate studies were completed at Jefferson Medical College, Philadelphia, Pennsylvania. A former Assistant Commissioner for Prevention and Protection in the Virgin Islands Department of Health, she also served as Physician in Charge, Ingeborg Nesbitt Clinic on St. Croix, 1975-77; president of the Medical Staff of the Charles Harwood Memorial Hospital and Ingeborg Clinic, 1978-79; medical coordinator of the Nurse Practitioner Program, College of the Virgin Islands, St. Croix, 1977-78; chairman of the Midwinter Clinical Conference, 1978; and Assistant Commissioner of Health for St. Croix, 1978-1981.She also served as executive director/medical director of the Virgin Islands Medical Institute Professional Services Review Organization (PSRO) Inc. since 1981; Pan American Health Organization (PAHO) consultant; HOPE consultant; principal investigator on hypertension grant from Public Health Service, 02-H-000-907-01-0 (1980-81); chairperson of PSRO Committee, Virgin Islands Medical Society since 1977; acting director of Family Physicians, Virgin Islands Chapter, since 1978; and vice president of the Virgin Islands Medical Society, 1984. She is the author of several publications, among which is "Hypertension in the United States Virgin Islands: the Problems, the Analysis, the Challenge," Preventive Medicine, Vol. No. 2, March, 1979.The recipient of several honors, Dr. Christian is listed in Who's Who Among Black Americans (1988) and was awarded the Edward Wilmot Blyden Scholarship in 1960, the John Hay Whitney Fellowship in 1969, and the National Urban Coalition Fellowship in 1974. 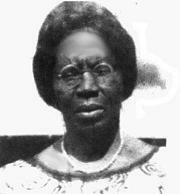 She was born at Leinster Bay, St. John, Danish West Indies, September 15, 1868. At a time when women in the Virgin Islands, like their counterparts elsewhere, had little economic or social power, Sophia Rosalind Francis Clen was a woman of strong character who was not afraid to defend her convictions. Concurrent with this transaction, J.P. Jorgensen leased the purchased premises to Henry Clen for a monthly rent of Frcs. 125.00 ($25.00) payable every three months for as long as he desired to remain on the estate and had the ability to pay the rent. Attached to the lease were these stipulations: after the death of Henry Clen, the lease would pass to his widow, Sophia; the estate would be kept in good order; the contract would be annulled if the rent were not paid in six months. Mr. Clen died shortly after and Mrs. Clen continued to reside on the estate, taking care of the cattle and the upkeep of the property, but she did not pay rent. On December 2, 1918, J.P. Jorgensen filed a case against Mrs. Clen in the District Court of St. Thomas/St. John for failure to pay rent for three years and requested payment of Frcs. 1,102.00 ($220.40) and a judgement of ouster because of alleged breach of lease. Judge Carl G. Thiele agreed to the charges and handed down a decision that the plaintiff was entitled to the amount claimed, plus interest, and a judgement of ouster. Mrs. Clen protested this charge and claimed that Jorgensen owed her a larger amount for the services she rendered. In a manner most unusual for women of that period, she refused to accept this decision and appealed to the Third Circuit Court of Appeals. In so doing she made history by being the first Virgin Islands female to take such an action. In addition, the case won attention by being the first of its kind emanating from the Virgin Islands to appear before the Third Circuit Court of Appeals. Mrs. Clen's action was challenged by the plaintiff on a matter of jurisdiction of this court to review an appeal, a judgement rendered under Danish procedure. Finally, a most important ramification of this case was that after the transfer of the Danish West Indies to the United States, many Danish laws were retained and Congress did not define a process by which appellate cases could be tried. This case, therefore, was the first in which appellate jurisdiction was interpreted from an act, prior to the existence of appellate procedures. In handing down a decision, the judge of the Third Circuit Court of Appeals modified the order of the District Court by directing Mrs. Clen to pay the plaintiff $1,250 but because the plaintiff owed her $1,118 for pasturing hundreds of cattle and calves, she was charged with the balance of $67.60 and was further directed to relinquish her possession of the estate. Even though in essence she received an adverse decision, Mrs. Clen could be compared to pioneers in history who were brave enough to stand up for their convictions. The son of Henry Cornelius and Sarah Eliza Allen, Victor Waldemar Cornelius was born on St. Croix, Danish West Indies on August 3, 1898, and was baptized October 3, 1898, in the Moravian Church. When a mere lad of seven, he (along with six-year-old Alberta Roberts) was sent to Denmark. As arranged by the school director, Rubner O. Petersen, the two were to receive their education in Denmark in addition to being trained as teachers. Upon completion of their training they were to return to St. Croix as teachers. With the transfer in 1917 of the Danish West Indies to the United States, Cornelius opted to retain his Danish nationality and reside in Naskov, a city in Lolland, a Danish island adjacent to Copenhagen. He subsequently graduated from Jonstrup Teacher Training College as a junior school teacher, 1917. He served as a teacher substitute in various schools, and in 1946, he became the director of the Naskov Municipal Music School and taught violin, mandolin, accordion, viola, cello, and bass. He retired in 1965, but, because of a teacher shortage, he volunteered his service until 1974. Cornelius was known and respected by Danes primarily as a teacher and secondly as a music lover. 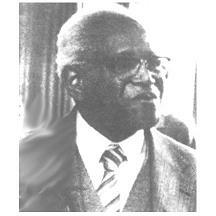 On June 1, 1984, Victor Cornelius was the recipient of a most distinguished award presented by the Danish government. He received the "Royal Medal With Crown" from Mayor Carl Emil Hansen in honor of his work in the field of education and culture. His interest in music was manifested in his establishment of what is currently known as the Naskov School of Music, which he founded in 1924. In that year he organized the nurses' choir and served as its director. Most proficient on the violin and the accordion, he participated in the choir, often playing one of his favorite instruments. In 1976, he published his autobiography, Fra St. Croix Til Naskov. He died in Denmark on December 19, 1985. He was married to Elvira Eugenia Sanden of Sweden on July 15, 1924, and from this union there were three children: Margit, Inger, and Bent. His four grandchildren are Bent, Jan, Edmund Wrothmann, and Lottie Cornelius. His wife died in 1977.